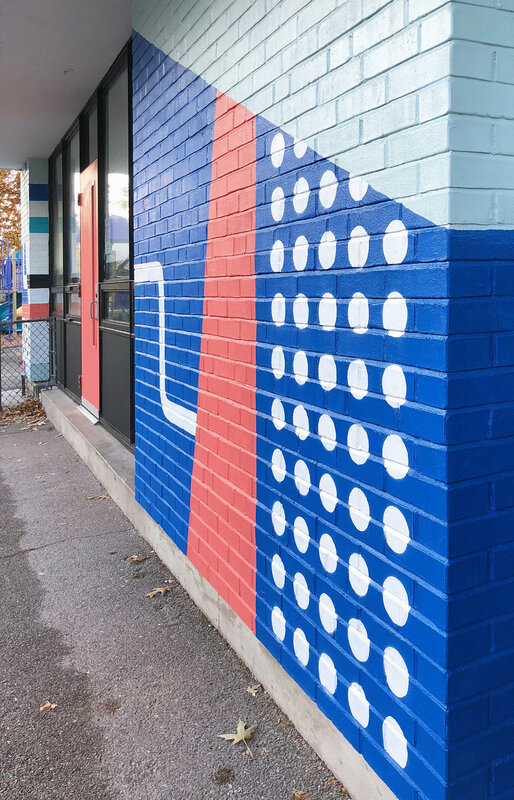 For St. Louis Design Week, Arcturis partnered with Kingdom House and Sherwin Williams to create a mural that celebrates design and community. 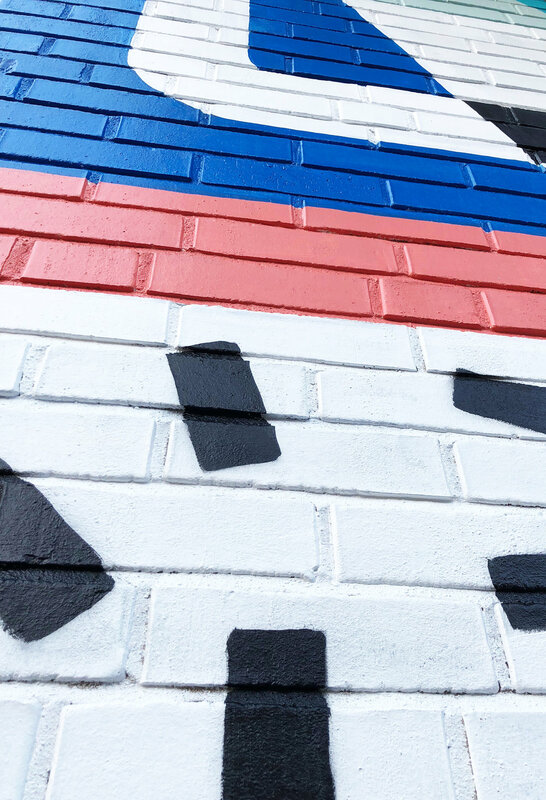 While Arcturis spearheaded the creation of the mural, it was a truly collaborative event where people from Kingdom House and the St. Louis design community pitched in to complete the project. So, we set out to transform the side of the Kingdom House building with our collaborative event that shows how design can transform, communicate, and benefit community spaces like this. Our design is a collection of geometric forms that come together to create an abstracted image. These forms, when viewed as a whole, create an overall design that closely follows the design principles of unity and balance. We felt that this visually embodied the mission and spirit of Kingdom House. The mural contains interactive and stimulating elements that give visitors using the space something exciting to experience when using the outdoor recreation area. For example, elements like the curved line that weaves and connects each section of the design, or the grouping of dots in the middle, become visual games to engage the viewer. At the same time, we helped to contemporize this recreation area with vibrant colors and bold patterns. We believe that design can transform a space, and the experience of collectively creating this piece was a great way to show the spirit of the St. Louis Design Community. A huge thank you to our partnership with Kingdom House, and the generosity of Sherwin Williams for helping these efforts come to fruition.